WHITE PLAINS, NY -- (MARKET WIRE) -- May 15, 2007 -- One-way full-fare tickets on all routes of the high-speed Thalys train connecting Paris-Brussels-Amsterdam are now on sale at 50% off the normal price for summertime travel from Rail Europe. Tickets must be booked by August 15 for travel between June 1-August 31, 2007. Thalys takes just 1 hour 25 minutes to go from downtown Paris to Brussels, most of the journey made at 186 mph. 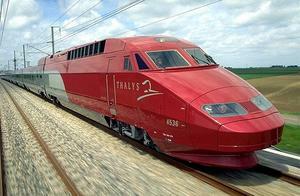 In 2008, all Thalys tracks will be high-speed and travel times Paris-Amsterdam (currently 4 hrs 11 min.) and Paris-Cologne (presently 3 hrs 50 min) will be cut to 3 hrs 9 min and 2 hrs 50 min, respectively. Up to 27 trains travel between Paris and Brussels in each direction daily, making the service convenient as well as fast. Thalys has given the airlines so much competition since it began operation in 1996 that all flights between Paris and Brussels were discontinued, and the airlines instead book their passengers on the train. The number of North Americans buying tickets on Thalys in 2006 increased 5% compared to 2005, reports Rail Europe, largest North American distributor of European rail products. Last year a total of 6.5 million passengers rode the sleek red train. Rail Europe offers the widest range of routes and fares on trains throughout Europe and the U.K., as well as the broadest selection of railpasses. For more information or to book, contact a travel agent or Rail Europe at 1-888-382-7245 in the U.S. or 1-800-361-7245 in Canada, or log onto www.raileurope.com or www.raileurope.ca (in Canada).